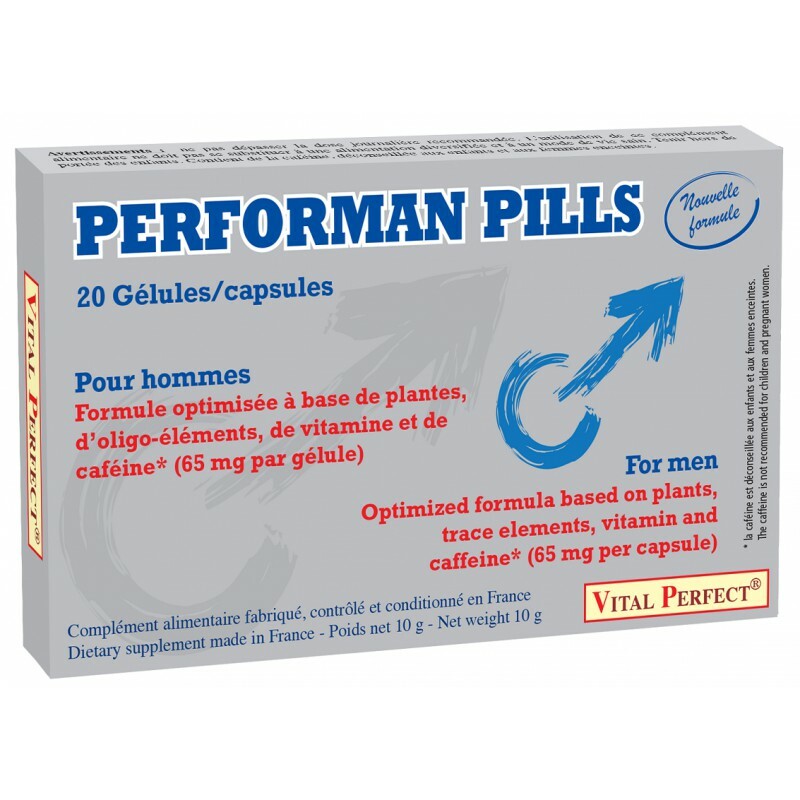 Performan pills is an optimized formula based on plants, trace elements and caffeine* (65 mg per capsule) for the sexuality of man. Damiana contributes to a good sexual appetite. Ginseng helps to induce and improve erection and increases performance and physical endurance. Guarana helps to strengthen the body and make you feel more energetic. It supports physical performance. Caffeine is known for its effects. 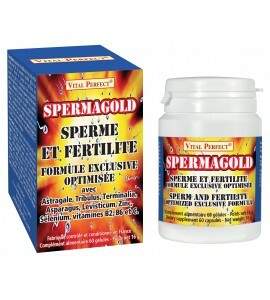 Zinc helps maintain a normal level of testosterone in the blood, normal fertility and reproduction. Selenium contributes to normal spermatogenesis and protects cells against oxidative stress. Iron and vitamin C help to reduce fatigue and at to normal functioning of the immune system. 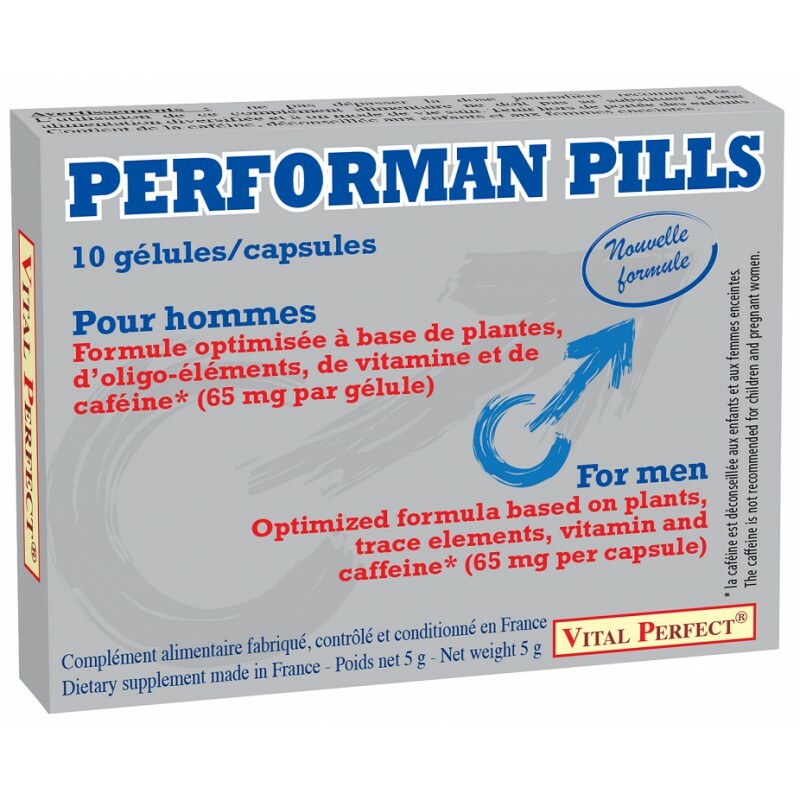 box of 20 or 10 capsules. 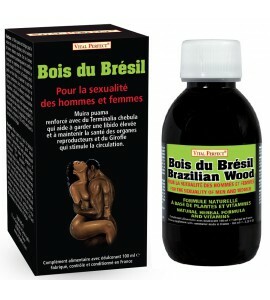 for occasional use, take 2 capsules about 60 to 90 minutes before the sexual act. For the maintenance, take 1 to 2 capsules daily, preferably between meals and before 17 pm (avoid alcohol). Vital Perfect is a french brand of high quality. Effectiveness and safety are at the heart of its research and manufacturing. It strives to offer all men and women the best products, at the closest of natural. To do this, Vital Perfect works with large laboratories. All the products are developed, manufactured, controlled and conditioned in France, in full compliance with the stringent French and European standards. Make trust at Vital Perfect is for you an absolute guarantee of traceability and safety. Guarana seed in the form of dry extract 1500 mg, Ginseng root in the form of dry extract 1000 mg, Damiana in the form of dry extract 1000 mg, Yarsagumba in the form of dry extract 250 mg, Caffeine 65 mg, Vitamin C 40 mg (50% RDA), Iron 2.5 mg (18% RDA), Zinc 2.5 mg (25% RDA), Selenium 25 μg (45% RDA). dry extracts of Paullinia cupana, Turnera diffusa, Panax ginseng ; Gelatin capsule, Caffeine, Ascorbic acid ; dry extracts of Cordyceps Sinensis ; Zinc gluconate, Ferrous fumarate ; Anti-caking agents: Maltodextrin ; Magnesium stearate, Sodium selenite, Capsule dyes: indigotine, titanium dioxide. do not exceed the recommended daily dose. The use of this dietary supplement should not be substituted for a diversified diet and a healthy lifestyle. Keep out of reach of children. Product not recommended for people on antidiabetic treatment. *Contains caffeine, not recommended for children and pregnant women.